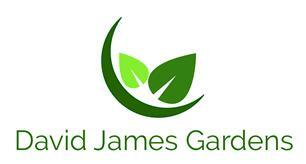 David James Gardens - Garden Services based in Woking, Surrey. One off tidy ups and clearances. David James Gardens is a Surrey based gardening company, offering services to the private, domestic and commercial sector. We pride ourselves on giving clients a friendly, professional and affordable service catered to your specific needs. Our services range from regular garden maintenance, garden tidy ups, planting design and lawn care. As a company we strive to be the best and deliver a great service so that you can enjoy your garden space. Please have a look at our pictures, reviews and please do not hesitate to contact me with any queries or to arrange a quote. WOKING, GUILDFORD, WEYBRIDGE, WINDSOR, ASCOT, SUNNINGDALE, VIRGINIA WATER, EGHAM, ESHER, WALTON ON THAMES, SURREY, BERKSHIRE. David James Gardens Company Director.